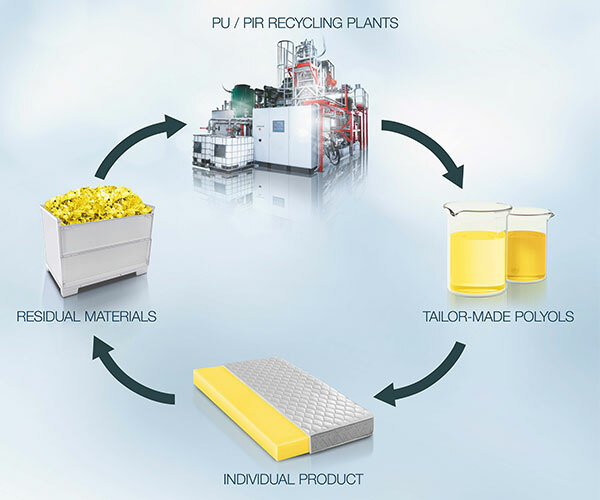 PU-Recycling stands for the holistic planning and assembly of engineering plants for the production of alternative polypoles from PUR and PET residues. In cooperation with RAMPF Eco Solutions, production residues are turned into high-quality raw materials. Our tailor-made plants reduce your raw material, transport and disposal costs and enable environmentally friendly production. PURPLAN and RAMPF combine many years of experience in the development of innovative solutions in industrial plant construction. We guarantee your success through an all-embracing support. The plants can also be used for the preparation of virgin polyols based on phthalic anhydride. Therefore also the economical recycling of small quantities of PU-waste can be realized.